If you cannot find the right answer in the Instruction Guide for Applicants or among the questions & answers below, please send your question using the contact form. Which are the participating countries for Skills Initiative for Africa (SIFA)? Currently, there are eight (8) participating countries for SIFA: Cameroon, Ethiopia, Ghana, Kenya, Nigeria, South Africa, Togo and Tunisia. SIFA funding is available for projects in these participating countries only. Calls for Proposal are opened for each country individually and are announced on the website. SIFA funding is available for applicants in the participating countries. Applicants must be experienced stakeholders in the field of skills development. One responsible Lead will always form a consortium with either one or two partners, according to the eligibility criteria for each Funding Window. For Funding Window 1: The Lead must be a domestic entity and a public or private accredited training provider. The primary partner needs to be from the domestic private sector. For Funding Window 2: The Lead must be an international company. The primary partner needs to be a domestic public or private accredited training provider. For Funding Window 3: The Lead must be a domestic public or private entity. If the Lead is public then one of the partners needs to be private. What is a Funding Window? A Funding Window is a funding category with a specific goal. Each funding window has specific criteria defining who is eligible to apply and what type of project can be funded, as well as maximum grant amounts. What are factors of excluding applicants? Which evidence of eligibility does an applicants need to have? For more details please check the eligibility criteria described in the Instruction Guide for Applicants available to download on the “Apply” section of our website www.skillsafrica.org. Si, lors de votre inscription sur SmartME, vous n’avez pas reçu d’e-mail avec le lien de confirmation, consultez votre dossier "courrier indésirable" et assurez-vous que votre boîte aux lettres électronique n'est pas pleine. Si, après avoir effectué cette vérification, vous n’avez toujours pas reçu d’e-mail de confirmation, répétez le processus d’inscription en vous assurant de saisir correctement votre courrier électronique. For more information on call openings and submission deadlines, please check the current status at https://skillsafrica.org/apply#funding, and check the “News” section of our website www.skillsafrica.org for updates. For more information about the estimated timelines of the application process for each call, please check the chapter “Call Schedules and Timelines” in the Instruction Guide for Applicants available to download on the “Apply” section of our website. If you have further questions, please send us a message using the contact form on the website. Ref: Call for Proposals for large skills development in South Africa. Can I confirm that a Private College accredited with the Quality Council for Trades and Occupations in South Africa qualifies to apply for Window I. Yes, a private college accredited with the Quality Council for Trades and Occupations (QCTO) is eligible to apply under Funding Window 1. Please I am a teacher in Ghana and I want to join this great call up. I am a TVET teacher and Williams like to be directed to the appropriate quarters where much information can be given to me please. For detailed information about SIFA, please check Instruction Guide for Applicants freely available to download on the “Apply” section of our website www.skillsafrica.org. Hello, I would like to partner your project with our project. what could be the procedures. our project work with lessprivillaged children and youth in uganda, we develope their talent through providing avocation skills on (...) to see what we do. Uganda is not one of SIFA’s participating countries, thus applicants based in Uganda presently cannot apply for SIFA funding. For more information about SIFA, please check our website www.skillsafrica.org. The Grants Officer, On behalf of our local NGO, I hereby express my honour to apply for your modalities of project funding/grants. Grateful to receive your call for proposals re the implementation of a value-added and innovative agricultural project. For detailed information about SIFA funding please check the Instruction Guide for Applicants available to download on the “Apply” section of our website www.skillsafrica.org. Please check the status of calls for proposals at https://skillsafrica.org/apply#funding and consult the News section of the website for updates. I hereby apply for the training sponsorship in your humble organisation please based on my target, ambition and plan for the your in my region especially to reduce the rate of unemployment, illitracy and criminal activities among the youths and tenagers, Humbly submitted please, Thanks. If you would like to apply for SIFA funding, please check the “Apply” section of our website www.skillsafrica.org for details about the application process and the requirements for eligible applicants and eligible projects. hi , How does one apply South African calls for proposals ? The call for proposals for Funding Window 1 in South Africa is scheduled to open on 17th April 2019. Please check the News section of the website www.skillsafrica.org for further updates. Je suis un formateur dans un organisme public Tunisien, comment faire pour soumissionner pour un projet avant la date limite ? Prière de consulter le site Web www.skillsafrica.org, rubrique « Soumissionner », pour plus de détails sur le processus de candidature. La date limite de soumission des notes conceptuelles pour le Guichet de financement 1 en Tunisie est fixée au 31 mai 2019. I would like to know about individual skills capacitation ? Individual skills capacitation is not part of the SIFA program. For detailed information about SIFA, please check our website www.skillsafrica.org. If you would like to apply for SIFA funding, please check the requirements for eligible applicants and eligible projects, described in the Instruction Guide for Applicants available to download on the “Apply” section of our website www.skillsafrica.org. Many startups face challenges of tax administration and planning. My organisation offers tax advice and consulting and would want to partner in some of you initiatives based in East Africa. Please note that SIFA cannot provide support to potential applicants in finding suitable partners for their initiative/project. It is the responsibility of potential applicants to form a partnership (consortium) according to the eligibility criteria if they wish to apply for SIFA funding. For detailed information about the eligibility criteria, please check the Instruction Guide for Applicants available to download on the “Apply” section of our website www.skillsafrica.org. Good day I need more clarity on the 10% contribution to the project and the closing date for applications. Regarding the Counterpart Contribution: For Funding Windows 1 and 3, Applicants must contribute to the project with their own funds for at least 10% of the total project cost. That means out of the total 100% project cost, maximum 90% can be financed through the SIFA grant and minimum 10% must be financed through your counterpart contribution. For example, if the total cost of your project is 1,000,000 EUR, the grant you can apply for is up to 900,000 EUR and the counterpart contribution must be at least 100,000 EUR. To apply for the maximum grant amount of 3,000,000 EUR for Funding Window 1, your counterpart contribution must be at least 333,333 EUR so the total project cost would be at least 3,333,333 EUR. At Concept Note stage, Applicants must submit a commitment letter for the counterpart contribution. At Full Proposal stage, evidence for the (estimated) costs for the counterpart contribution must be submitted. During the course of project implementation, evidence needs to be provided for all counterpart contributions. Regarding the closing date for applications: Calls for proposals for Funding Window 1 are opened for each participating country individually, thus deadlines for submission are also different for each country. Please check call status at https://skillsafrica.org/apply#funding and the News section of our website www.skillsafrica.org for updates. In the SmartME online application system, the specific deadlines are clearly shown for each call. Applications cannot be submitted after the deadline. Uganda is not one of SIFA’s participating countries, thus applicants based in Uganda presently cannot apply for SIFA funding. For detailed information about SIFA, please check the Instruction Guide for Applicants freely available to download on the “Apply” section of our website www.skillsafrica.org. Je pensais que le formulaire d’enregistrement pour avoir un compte allait porter sur une personne morale et non physique. Merci de m'éclairer sur la question. Le compte SmartME doit être créé par une personne physique. Une fois connecté au compte, vous pourrez choisir l’appel à projet pour lequel vous voudrez soumissionner. C’est dans le formulaire de candidature qu’il faut fournir des détails sur l’entité (personne morale) et sa personne de contact. Ceci aussi bien pour le partenaire principal que pour le(s) partenaire(s) associé(s). La personne qui doit signer la lettre d'engagement de la contrepartie est la personne qui est désignée comme Partenaire principal (ou Lead) dans le système de candidature SmartME. Prière de consulter le Guide de candidature et la « Foire aux Questions » (FAQ) sur le site www.skillsafrica.org pour plus de détails sur SIFA. Si vous ne trouvez pas la bonne réponse, veuillez nous contacter en utilisant le formulaire sur le site, rubrique « Contact ». Les questions (sous forme anonyme) et réponses seront publiées dans la rubrique FAQ. If you would like to apply for SIFA funding, please check the detailed requirements for eligible applicants and eligible projects, described in the Instruction Guide for Applicants freely available to download on the website www.skillsafrica.org. Prière de consulter le Guide de candidature sur le site www.skillsafrica.org, rubrique « Soumissionner », pour plus de détails sur le processus de candidature et les critères d’éligibilité pour une subvention dans le cadre de l'Initiative Compétences pour l'Afrique (SIFA). Ghana has recently become one of SIFA’s participating countries. The information on the website www.skillsafrica.org and in the Instruction Guide for Applicants have been updated accordingly. The Call for Concept Notes in Ghana will open on Monday 8th April 2019. Please check the website for further updates. Are you inviting the applicants throughout the world? Can I apply from India? 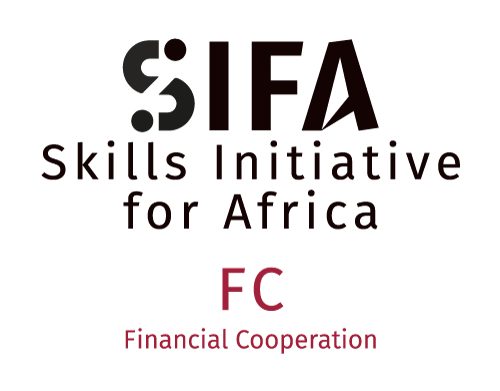 SIFA finances skills development projects in selected African countries only. India is not one of SIFA’s participating countries, thus applicants based in India cannot apply for SIFA funding. Please note that submitting a proposal via e-mail is not permissible and will not be accepted. All proposals must be submitted in the application format in the SmartME online management system, as explained in the Instruction Guide for Applicants freely available to download on the website www.skillsafrica.org. Please go to www.skillsafrica.org/signin if you wish to create and submit an application. Good day to you. My company is based in Kimberley - Northern Cape Province and is an accredited skills development provider. I would like to apply for the grant funding for a Social Entrepreneurship / Cooperatives Project. Can I apply for such a grant and under which funding window? Yes, as accredited skills development provider in South Africa you are eligible to apply for a SIFA grant in all three Funding Windows. Your consortium and your project must fulfill the eligibility criteria for the respective Funding Window. For details please check the Instruction Guide for Applicants available to download on our website www.skillsafrica.org. You can submit an application once the call for proposal for the respective Window is opened in your country. Call openings will be announced on the website. Dear Team, We need funding of 3 million euros to create a set up in your country. That will do skill development in human genealogy. Je pense que cette initiative pourrait être améliorée en s'étendant à la Société Civile. Je suis membre d'une association qui a pour vocation d'insérer les jeunes diplômés par le biais d'un emploi ou de l'entrepreneuriat. Nous avons un projet de création d'un centre d'accueil, de formation et de documentation pour les jeunes chercheurs d'emploi. Cependant j'ai l'impression qu'en tant qu'association, nous ne pouvons pas postuler. Les organisations non gouvernementales (ONG) et associations sont tout à fait éligibles si elles sont habilitées à donner des formations. Pour plus de détails sur les critères d’éligibilité veuillez consulter le Guide de Candidature, disponible pour téléchargement sur www.skillsafrica.org. You can apply once the call for proposals is opened in your country. Call openings will be announced on the website. To submit an application, please register on our online application system (SmartME) at www.skillsafrica.org/signin. Applications for SIFA can be submitted via our online application system (SmartME) only. To register on SmartME, please go to our website www.skillsafrica.org and follow the link provided in the section SIGN IN. For more details about the application process, please check the Instruction Guide freely available to download from the website. I've been accepted to NYU's Interactive Telecommunications Program - a STEM degree focusing on media technology. I have a bursary from NYU but still need to raise 90,000USD. Would your organisation be able to help in this regard? Or offer insight regarding sources of funding? SIFA finances skills development projects in selected African countries only. Applicants must be experienced stakeholders in the field of skills development, and form a consortium consisting of 2 or 3 eligible entities, according to the eligibility criteria for each Funding Window. Individuals are not eligible to apply. For detailed definitions of eligible applicants and eligible projects for each Funding Window, please refer to the Instruction Guide freely available to download on the website www.skillsafrica.org. Étant donné que le centre a réouvert en 2018, je ne peux avoir pas avoir les états financiers de 2015, 2016,2017. A cause de ça, est ce que ma candidature peut être acceptable ? Oui, les candidats peuvent soumettre les états financiers des 3 dernières années disponibles (ou moins) et ajouter des notes explicatives dans les cases correspondantes. I work for (...) a nonprofit social enterprise focused on bridging the digital divide for women and youth in countries such as Ethiopia, Jordan, Tanzania, Kenya, Rwanda, and Uganda. I would like if you have an open application process for projects related to those areas along the year? SIFA Funding Window 3 is designed to finance smaller, innovative (pilot) projects such as image campaigns for skills development, ICT-based approaches to skills development, and entrepreneurship/mentorship programs. For detailed conditions, please check the Instruction Guide freely available to download on the website. Calls for proposals for Funding Window 3 will be launched in SIFA’s participating countries at a later stage, and openings will be announced on the website. We have fixed these issues. Please try again and get back to us if you still encounter these or other problems. For purely technical issues, please use the HelpDesk in SmartME (accessible when logged into your SmartME user account). Ethiopia is one of SIFA’s participating countries, thus applicants based in Ethiopia will be able to apply for SIFA funding once a Call for proposals is launched in Ethiopia. Call openings will be announced on the website www.skillsafrica.org. Please check the Instruction Guide for Applicants for detailed eligibility criteria. Les Ministères en charge des questions d'emplois des Jeunes peuvent-ils être partenaires associés au partenaire principal pour le WINDOWS 1 ? Oui, selon les critères d’éligibilité spécifiées dans le Guide de candidature, les Ministères en charge des questions d'emplois des Jeunes peuvent être Partenaire principal ou Partenaire associé secondaire pour le guichet de financement 1, s’ils sont chargés de la coordination de l’offre en EFTP ou engagés dans le développement des compétences. Bonjour, Je suis interessé par l'appel à proposition pour le developpement des competences en afrique. Je voudrais savoir si les conditions d'eligibilité sur l'experience specifique sur un projet de meme envergure et la capacité financiere concernent tous les trois partenaires réunis pris comme une seule entité ou pris individuellement? Comme spécifié dans le Guide de candidature dans la section « Critères d’éligibilité », chaque candidat (consortium) doit fournir moins une référence d’un projet d’envergure financière similaire à celle du projet proposé. Cela veut dire qu’il est suffisant si seul le partenaire principal dispose d’une telle expérience. Concernant la capacité financière, seul le partenaire principal doit obligatoirement fournir des copies des états financiers audités ou certifiés des trois dernières années. As Startup Incubator located in Cameroon, we're not accredited training provider but we also contribute to help youth get digital and entrepreneurship skills, and we help them create their own companies, So are we eligible to apply to the windows 1 ? As specified in the Instruction Guide, eligible applicants for Window 1 include “Incubation center or company involved in product development” as primary partner. This means functioning incubation centers that have the capacity to incubate new products or technology processes. Start-ups as well as start-up incubators that have never done any incubation activity are not eligible. For detailed information on eligibility for each Funding Window, please refer to the Instruction Guide freely available to download on the website www.SkillsAfrica.org. 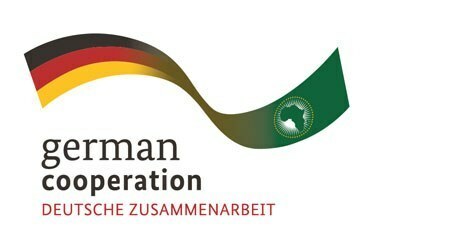 To become a participating country of SIFA, the national government of the country must send an official Expression of Interest to the Commissioner for Human Resource, Science and Technology (HRST) of the African Union Commission (AUC) in Addis Ababa, Ethiopia for consideration. Only countries can apply to join SIFA, not individuals or institutions. Funding through SIFA Financing Facility is available only through the 3 Funding Windows as presented on www.skillsafrica.org. I wish to access the funding from Botswana. Physics graduate an entreprenuer currently working as an instruentation and control consultant. Wish to expand my business by adding a training department targeting graduate engineers and employees in the mining sector. Botswana is not one of SIFA’s participating countries, thus applicants based in Botswana presently cannot apply for SIFA funding. For detailed information on eligibility for each Funding Window, please refer to the Instruction Guide freely available to download on the website www.skillsafrica.org. Good day Team For clarity, please assist, on Window I your website says Cameron is that correct? This is not in alignment with the guidelines or the map which shows South Africa as a pilot country as well. Funding Window 1 will be launched in all participating SIFA countries, but Calls for Proposal are opened for each country individually. Currently, only the call for Cameroon has opened. Call openings for the other participating countries including South Africa are expected at a later stage and will be announced on the website. Funding Window 1 will be launched in all participating SIFA countries, but Calls for Proposal are opened for each country individually. Currently, only the call for Cameroon has opened. Call openings for the other countries are expected at a later stage and will be announced on the website. Oui, les Instituts Privés d'Enseignement Supérieur (IPES) sont éligibles aux projets SIFA, selon la définition des candidats éligibles dans le Guide de Candidature, disponible pour téléchargement sur www.skillsafrica.org. Pour évaluer vos chances de réussite, veuillez vous référer aux critères d’évaluation des propositions, qui sont notamment : Viabilité et prêt à être mis en œuvre ; Innovation ; Pérennité ; Impact régional et réplicabilité ; Implication du secteur privé ; Accès pour/impact sur les femmes, les jeunes et les groupes vulnérables ; Qualité globale de la proposition ; Pertinence. Les critères sont décrites en détail dans le Guide de Candidature et dans la section « Critères d'évaluation » sur https://skillsafrica.org/fr/soumissionner. Les options de financement de la contrepartie du candidat sont décrites en détail dans le chapitre « Contrepartie du candidat » dans le Guide de Candidature. Ainsi, l’option I (« Mise en œuvre de mesures liées au projet en nature pouvant être quantifiées en espèces ») et l’option IV (« Prise en charge de coûts récurrents ») pourraient inclure par exemple des frais de logement ou des bourses d’études. Par contre, la contrepartie du candidat ne peut pas provenir d’investissement d’un autre fond. I will like to request for a comprehensive information on SIFA, Please. For detailed information, please check the Instruction Guide available to download on the website www.skillsafrica.org, and the “Frequently Asked Questions” (FAQ) section on the website. If you have specific questions, please send them to us through the contact form on the website. The questions and answers will be published on the FAQ section of the website. Pour des informations détaillées, veuillez consulter le Guide d’instruction et la « Foire aux questions » (FAQ) disponibles sur le site Web www.skillsafrica.org. La politique de SIFA est d’offrir des opportunités équitables et transparentes à tous les candidats. Par conséquent, nous ne pouvons pas offrir de consultations personnelles. Si vous avez des questions spécifiques, veuillez les envoyer via le formulaire de contact disponible sur le site Web. Les questions et réponses seront publiées dans la section FAQ du site Web. Thanks for this opportuntiy. We are a (...) civil society organisation based in (...). We train young Cameroonins in ICTs, soft and hardware development. We have a big training center which can take 10 desk top computers but we only have 2 for now. And we do not have audited accounts for the last three years. Can we submit a concept note? 1. Anyone with a potential concept note fulfilling the overall requirements for a call can submit an application. For detailed definitions of eligible applicants and eligible projects for each Funding Window, please refer to the Instruction Guide freely available to download on the website www.skillsafrica.org. 2. At the Concept Note stage, eligible candidates have to provide audited or certified financial statements of the Lead for the last three available years. Certified financial statements are normally signed by the Chairman of the Board of Directors or the Chairman of the Governing Board of the training institution. This may be compared with the externally audited financial statements which are signed by the External Auditor. At the Full Proposal stage, shortlisted applicants will be required to submit their 3-year audited accounts. Is Funding Window 1 for Cameroon only? For detailed information, please check the Instruction Guide and the “Frequently Asked Questions” (FAQ) on the website www.skillsafrica.org. SIFA’s policy is to offer fair and transparent opportunities to all applicants. Therefore, cannot not provide personal consultations. If you have specific questions, please send them to us through the contact form on the website. The questions and answers will be published on the FAQ section of the website.